Industry valuations rebound for the first time in 5 years while nearly USD0.5 trillion in wealth assets changed hands in 2014; Swiss market experienced big fundamental shift in ownership. LONDON – Deal making in global wealth management M&A in 2014 had a solid year with average prices rebounding to 2.1% of assets from 2013 lows. Although the deal price average went up, the amount of private client assets changing hands hit USD461.3 billion. In 2013 the volume of AUM changing hands was USD779.8 billion, although the average pricing stood at 1.3%. Overall, the value of M&A cheque book writing for transactions totalled USD12.9 billion, compared with USD8.1 billion in 2013. “The deals in 2014 hint that a pursuit of quality over quantity returned to the wealth management market. Pricing levels rebounded to the 2% mark after a mood of quick selling in 2013 depressed values – particularly in the UK. The pace of deal making may be dropping off slightly compared to last year but it is still moving at a strong clip,” said Sebastian Dovey, managing partner. These findings are part of Scorpio Partnership’s 2015 Wealth Management Deal Tracker report released today. The research project, in its fifth edition, has assessed 368 deals since it started tracking in 2008. While each year of deals represents a different set of context points, at a macro level the results for 2014 suggest a recovery in valuations is taking place in the industry with less emphasis on a quick sale mentality in certain markets. Overall, pricing levels have risen for the first time in five years to 2.1% of assets. Not since 2008-2009 has average valuations increased. Notably, in 2014, the volume of assets changing hands in Switzerland alone represented USD138.3 billion. Over the seven years of tracking M&A in wealth, this volume represents 59% of all assets shifted in the Swiss market. The prolonged adjustment in the Swiss market related to changes in global regulation is a major factor coupled with strong headwinds in operating costs for Swiss-based operators. “2014 appears also to have been the year when the foundations of Switzerland were fundamentally shifted. The year represented the biggest transfer of assets between firms that has ever occurred. Swiss operators are clearly rethinking their gameplan,” remarked Sebastian Dovey, managing partner. The report covers 368 deals across a seven year period. The volume of HNW assets purchased totals USD2.2 trillion of which USD0.461 trillion changed hands in 2014. The report analysis exposes the growing regional differences in M&A action. Since 2008, 14% of all AUM changed hands in Asia Pacific, whereas Europe and North America accounts for 60% and 23% respectively. Continued focus on the UK market which leads the way in M&A deals. Compliance restraint and tightening costs have heavily impacted the market, this paper analyses 26 UK IFA deals throughout 2014. Together, between 2008 and 2014 five operators (AFH Financial Group, Ashcourt Rowan, Bellpenny, Succession Group and Towry) took control of USD16.7 billion between them. (Note: This factor does not include the recent announcement between Towry and Ashcourt Rowan). Scorpio Partnership is the world’s leading market research and strategy consultancy to the global wealth industry. The common objective throughout our work is to better orient businesses to deliver what wealth needs next. 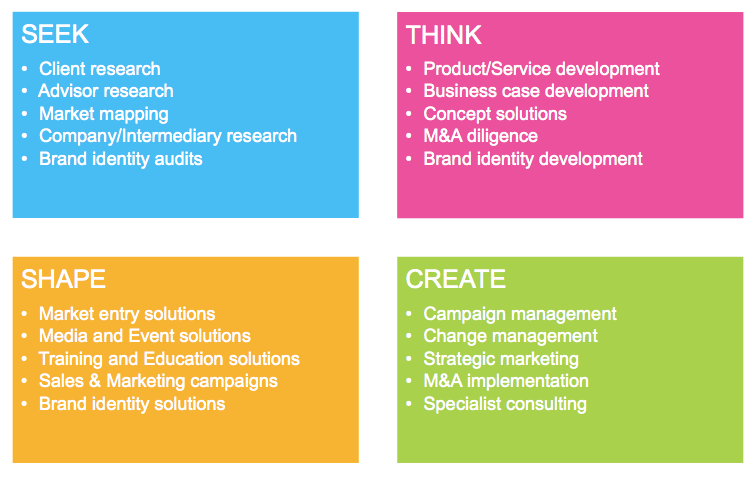 We have developed four transformational disciplines that shape our process: SEEK, THINK, SHAPE and CREATE. Each of these fields is designed to support business leaders to strategically assess, plan and drive growth. We specialise in turning high-net-worth (HNW) and ultra high-net-worth (UHNW) client insight and financial research studies into actionable strategies that can stimulate customer engagement. To date, we have interviewed over 40,000 HNW & UHNW clients from around the world on a range of issues; from their experiences with a financial provider to their hopes, fears and ambitions. We leverage our deep insight into client needs and expectations to create practical and actionable business development strategies. We work with institutions in the wealth management, private banking, fund management, regulation, IT, technology, insurance and charity and not-for profit sectors. The release above is encompassed in the 2015 M&A Deal Tracker report which is due for release immediately. This is the 5th report in the series tracking deals in the wealth management industry. The report provides a thorough assessment of 368 deals which have taken place in wealth management from 2008 to 2014. The intention of the Deal Tracker is to determine the trends that help to plot future activities. When it comes to M&A, the biggest trend question is around the benchmark price level for wealth businesses. In 2014, we found that valuations have risen for the first time in over 5 years to 2.1% of assets under management this year, up from 1.3% in 2013. The report is available for purchase. Below is a list of the report contents page. Scorpio Partnership is pleased to offer the full report for purchase in either pdf or print format. Details of the report are available on the Scorpio Partnership website. Please note, the figures listed in this press release encompass deals up to year – end 2014.